Apprentices have taken part in a University induction, getting their first experience of university life. Asda have been a long-term supporter of apprenticeships, with programmes to help young people take the first steps in their careers. Now they are offering colleagues the chance to study for a degree apprenticeship, a programme designed to build the skills and knowledge for a successful retail management career in Asda. By choosing to study for a degree apprenticeship, participants have the opportunity to complete a full honours degree alongside their role with the retailer. 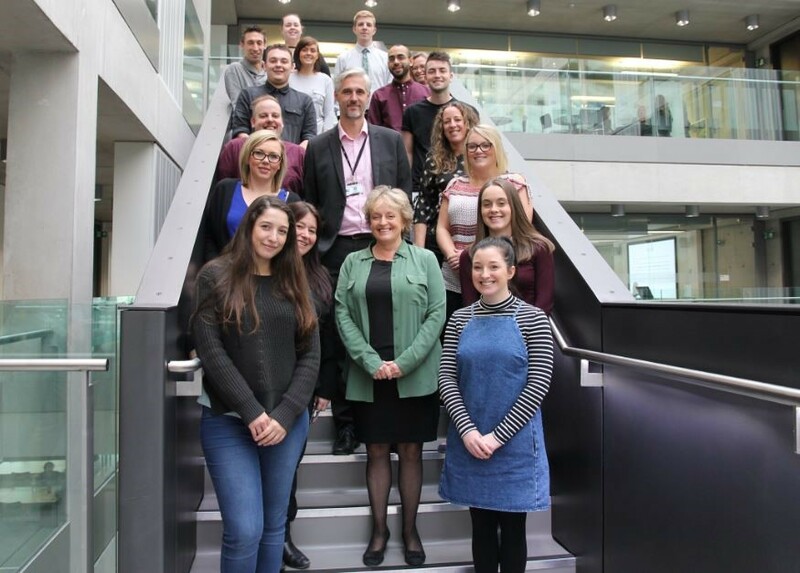 During their first teaching sessions, apprentices explored the unique challenges and opportunities of studying via the degree apprenticeship route, while also getting to know their academic team and meeting colleagues who had travelled from all over the country. The programme is the result of an intensive period of consultation between Asda and University academics and apprenticeship experts. The bespoke programme’s units will explore core areas of management theory such as Managing and Leading People, Finance and Accounting, Sales and Marketing, and Operations. Find out more about Manchester Met’s Degree Apprenticeship programmes or contact us on 0161 247 3919, apprenticeships@mmu.ac.uk.